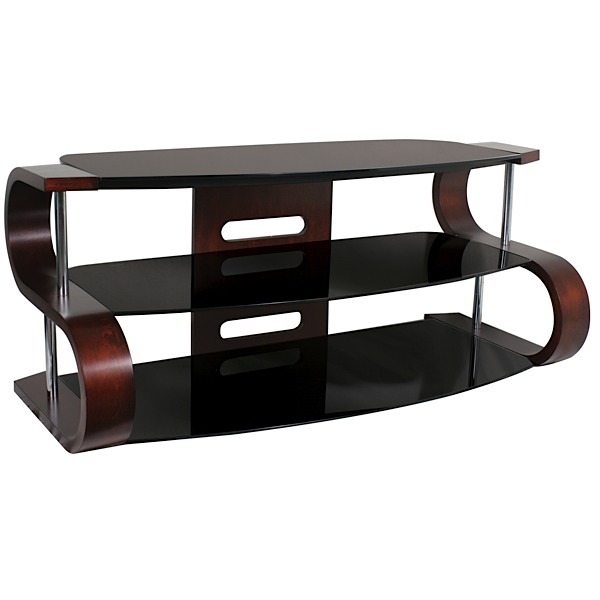 Our Geel TV Stand features "S" shaped, curved, dark Walnut veneer sides with modern opaque, black tempered glass shelving. 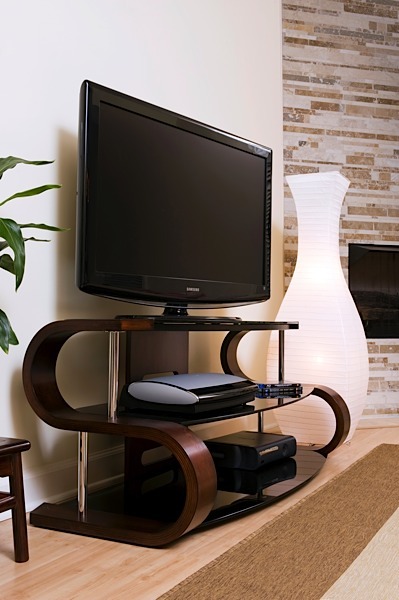 Geel holds up to a 60" flat panel TV with a weight capacity of 155 pounds. Some assembly required.